Awesome post Ryan! The case study helps validate some steps i've taken and clarified some details that you mentioned. P.S. Loved the cheese as well that you passed out at drupalcamp austin a couple months back. I couldn't forget how amazing that cheese is! Anyways, hope to see speak again soon. hehe Thanks, Chris. 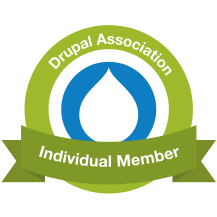 I hope to post up a few more posts with simple practical ways to improve the customer / administrator experience in Drupal Commerce... and I'll definitely remember the cheese at the events I attend this year. My question maybe out of this topic. How do deal with the order number in real case ? The order number out of box are sequence of numbers. I don't think nobody will like this in . If I understand you right, you're talking about the gap in order numbers that results from shopping carts that never complete checkout. I have a solution forthcoming for those, too - basically on checkout completion I'm just going to start manually setting the order number to the next in a sequential list of numbers. I just haven't decided yet how to make sure it plays well with orders created via the admin interface.